Derrick Rose truly was one of the feel-good stories of the 2018-19 NBA season, but his campaign has come to a close. The Minnesota Timberwolves announced on Saturday that Rose underwent surgery to remove bone chips from his right elbow and will be out indefinitely, which obviously means his season is officially over. After missing four games due to the injury, the Wolves decided to do further testing on Rose. An MRI revealed a chip fracture in his right elbow. Rose certainly enjoyed a sensational resurgence this season for the Wolves as he put together averages of 18.0 points, 4.3 assists, and 2.7 rebounds while shooting 37.0 percent from beyond the arc. In his last appearance, Rose scored just four points on 2-of-5 shooting against the New York Knicks on March 10. 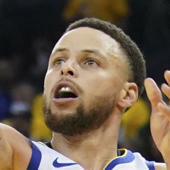 The former NBA MVP also had a performance for the ages against the Utah Jazz on Oct. 31 when he scored 50 points on 19-of-31 shooting. Rose was arguably the team's top reserves and could've been a dark horse for the league's Sixth Man of the Year award if his play hadn't tailed off.